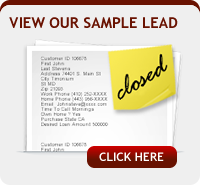 InnovativeEdge meets your needs for a full service, direct marketing company in a wide variety of services. 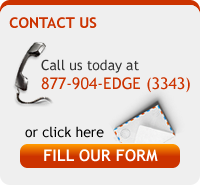 InnovativeEdge, offers Internet marketing services throughout the country. InnovativeEdge is a one-stop solution for all of the necessary components of a successful and effective Internet campaign. InnovativeEdge is a full service consulting, online marketing and technology solutions company. Our dynamic strategies include: website development, Internet marketing, Banner and Media Purchasing, pay per click management, search engine optimization,website positioning, competitive analysis, keyword/traffic analysis, lead generation, contract negotiations, ROI measurement, web analytics, Internet marketing consulting, customized marketing blueprint of growth strategies as well as strategic implementation of our clients products and services. Our background is a combined 10 years of consulting and Internet marketing experience. Customer loyalty and satisfaction are our number one priorities. This loyalty and satisfaction in gained throughout the lifecycle of our clients’ customized annual marketing campaigns. Executives at InnovativeEdge are highly experienced Internet marketing consultants possessing finely tuned interpersonal skills and online marketing knowledge. InnovativeEdge offers small business web design and Internet Marketing to all sectors. Currently our primary industries of focus are Legal Online Marketing, Medical Online Marketing, Political Online Marketing, Online Fundraising, and eCommerce. InnovativeEdge conducts business with complete confidence in applying their proven business models to industries that are behind the strategic Internet marketing curve.